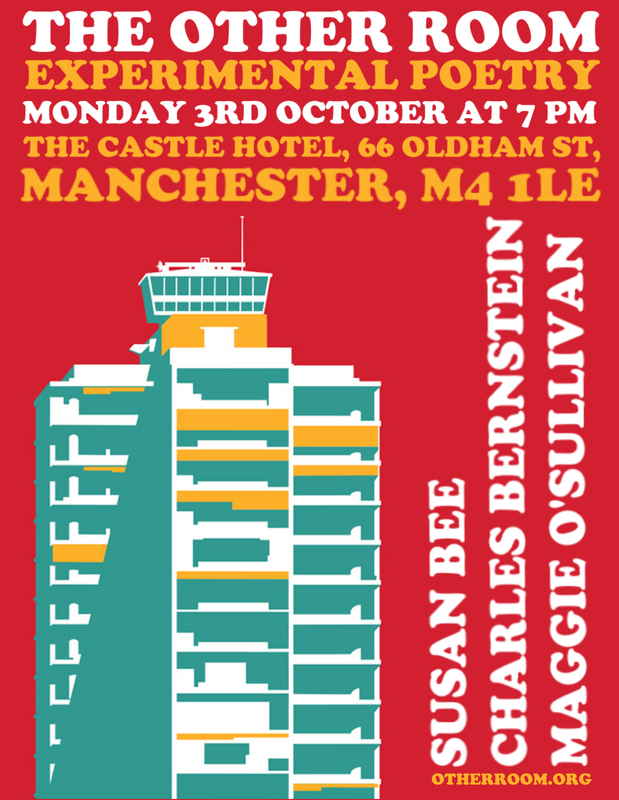 Readings from Susan Bee, Charles Bernstein and Maggie O’Sullivan at The Castle Hotel in Manchester. 7 PM start, free entry. Hope to see you there.